IMMACULATE CONDITION THROUGHOUT! 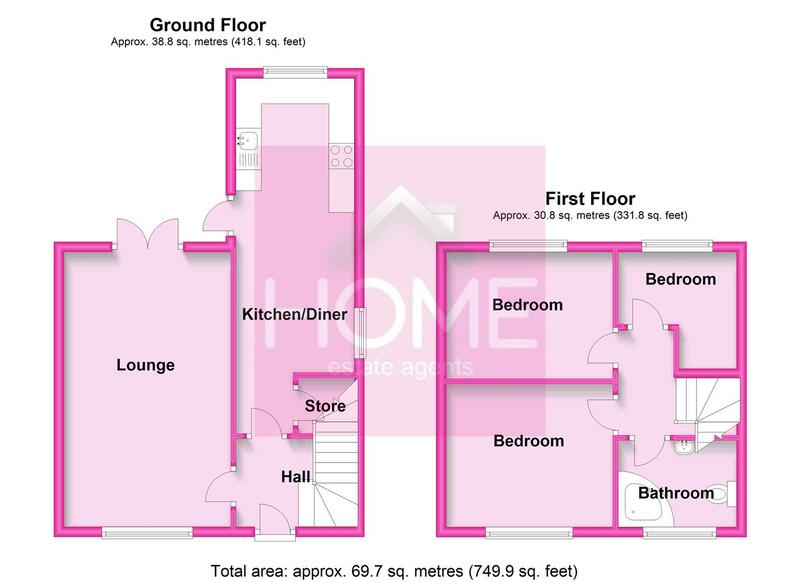 HOME ESTATE AGENTS are delighted to offer for sale this well presented and extended three bedroom semi detached property. Located in a cul de sac position and offering a modern level of accommodation the property is a fantastic opportunity to purchase a property in this popular location. The property boasts hallway, lounge, extended kitchen/diner, shaped landing, three bedrooms and a modern family bathroom suite. The property offers gas central heating and double glazing. Externally there is ample off road parking to the front in the form of a block paved dual driveway whilst to the rear there is a well maintained garden, raised decked area and storage garage perfect for storing bikes, outdoor equipment or would maybe make a useful gym area! Call HOME On 01617898383 to arrange your viewing! uPVC double glazed window to front, uPVC double glazed french doors to the rear, double panel radiator, television point, wood effect flooring and log burner with feature wooden mantle. Fitted with wall and base units, roll edge worktops, sink unit, space for fridge freezer, space for washing machine and dishwasher, electric oven and five ring gas hob, wood effect flooring and extractor fan. uPVC double glazed window to rear and uPVC double glazed door to side.